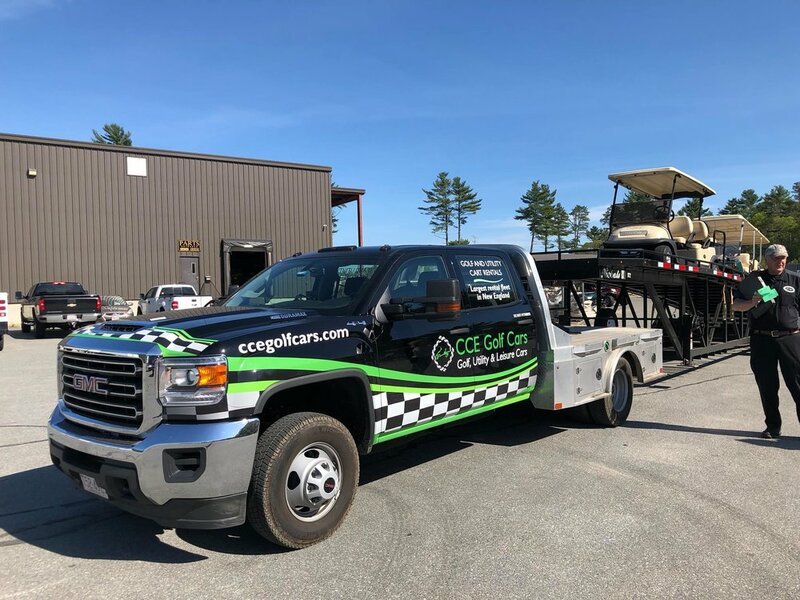 Whether you have a fleet of golf cars that need servicing or a single car, CCE can help keep your investment in top shape. We proudly stock over a million dollars worth of parts in our Parts Department, and offer award winning service in our Service Department with 3 New England locations and on-road technicians that come to you. Use the appropriate form below or call (1-800) 662-2585 to schedule a service appointment. Thank you for requesting door-to-door service with CCE Golf Cars. A customer service representative will return your call/email to schedule your appointment within 1-hour during normal business hours. Weekend or after-hour requests will be returned the next business day. Have a fleet of golf cars or just can't transport your vehicle to one of our 3 branches? CCE offers on-site service! Our fleet of factory-trained road technicians are available to come straight to your door to perform regular maintenance, diagnose problems and much more. Thank you for requesting service with CCE Golf Cars. A customer service representative will return your call/email to schedule your appointment within 1-hour during normal business hours. Weekend or after-hour requests will be returned the next business day. If you’d like to bring your vehicle into any of our branches for annual maintenance, diagnostics or repair, use the form above. CCE is proud to have been recognized for our commitment to superior service by Club Car. Only the best Club Car dealers earn designation as a Black and Gold dealer. Our high standards, helpful staff and convenient service options will make you glad to do business with us.